An important new job role is needed. The editor and content creator who makes sense of our world. 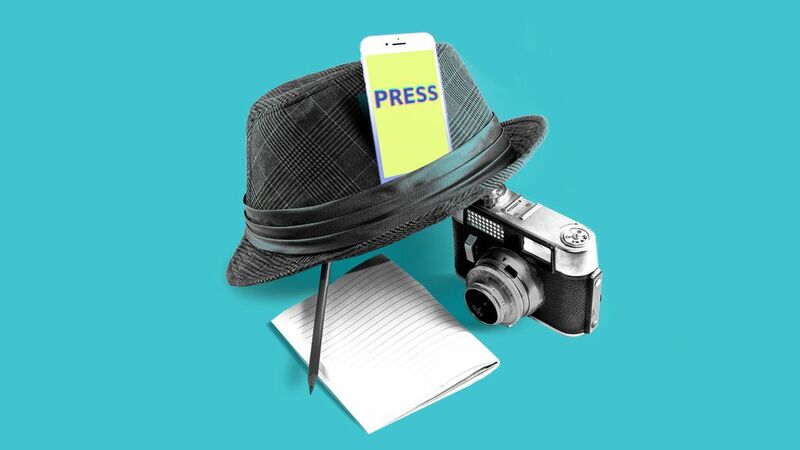 In an increasingly saturated media space that has companies and creators vying for audience attention, companies of all natures will be looking towards Editor-in-Chief-like roles to help shape narratives and guide teams of editors and content creators. With a smartphone now capable of reaching almost every song, movie or book created and its user pulled in thousands of different directions from different content creating people or companies, there is a need to deal with—and fight for—the increasingly fragmented attention of audiences. There’s more than enough eyeballs in the world, but you need their precious seconds most of all. This means companies are starting to play hard ball. Over the past decade, there are now 32% more people on LinkedIn reporting that they work as content or editor roles at non-media companies. Airbnb: started a subscription print magazine that’s free for hosts. Goldman Sachs: they have a talk show now. Verizon: hiring an “Editor in Chief-Social” to oversee high-frequency coverage of the companies activities. Away Luggage: The luggage company’ magazine focuses on the concept of travel through the stories of locals and influential creatives. Aside from simply being an effective manager that can steer teams of talented people towards goals and creating content that grabs attention, the underlying need is for these editor-in-chief-like roles is to lead by making sense of the world around them, their colleagues and their audience and turning those insights into a strong direction. Why? If we take different media forms as diffusions of the greater narrative a brand wants to depict—what would go on the “Our Story” page of the company website—those same forms are easily imitable but worldviews are not as much so. People will give a few fleeting seconds, maybe minutes to easily digestible content that appeals to spontaneous hedonism, but they’ll give hours—regular hours and loyalty—to platforms they can turn to for compelling original perspectives when everything else leaves them beleaguered, distracted and lost. Making sense of the world, however, requires an always-on mentality that isn’t for the faint of heart. To see and hear as much possible is a grueling task but is a requirement of the job to help scatter and rebuild narratives that explain where we are currently and where we’re going. 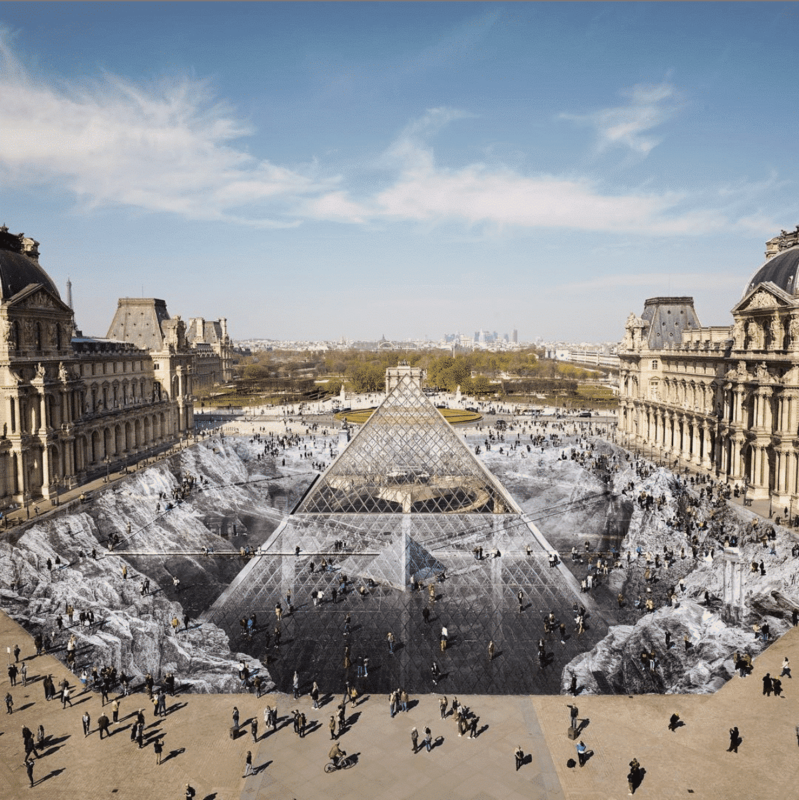 JR, the Parisian artist known for his incredible works, has surprised everyone once again with his latest installation. 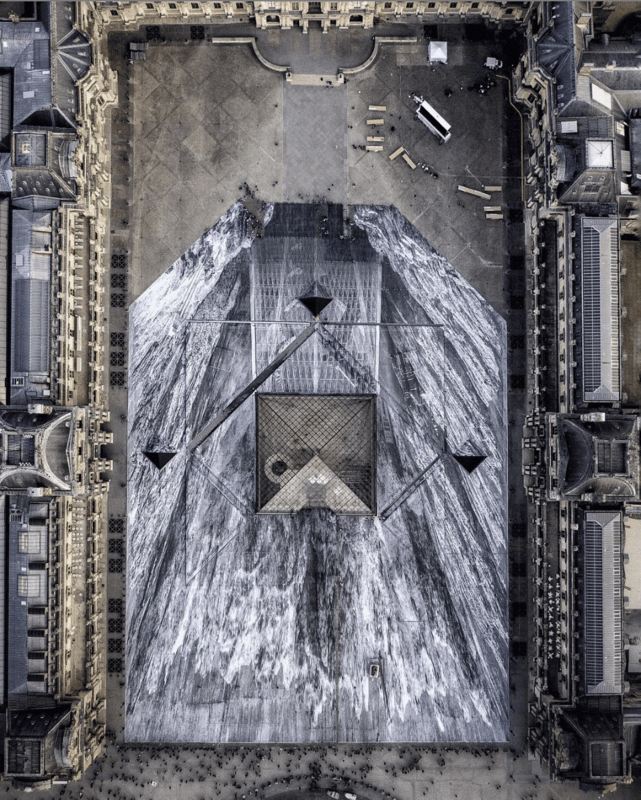 This is not the artist’s first foray with the Louvre: he previously made the iconic pyramid disappear altogether in 2016. The installation, erected to mark the pyramid’s 30th anniversary, was up only during the weekend for onlookers to experience. Even though Hong Kong held all the spotlight this week for a week full of festivities, JR took the art world by surprise once again. 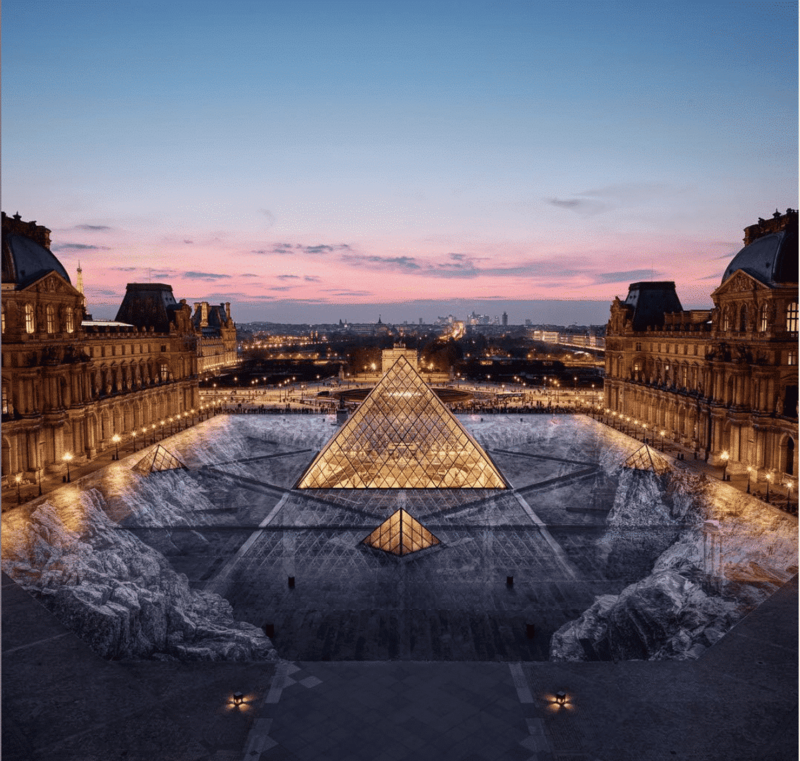 As is now customary for the artist, his work takes on a larger than life persona and weaves itself with the Louvre’s DNA. 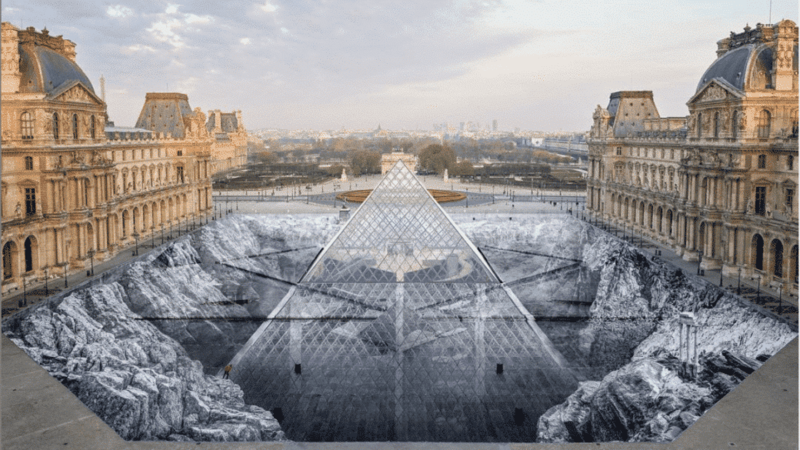 The installation celebrates the iconic pyramids’ 30th birthday (and is likely a much needed outdoor installation for the French museum). New modern works of this kind highlight the art world’s willingness to push boundaries and embrace innovative formats. Perhaps this will usher in a new trend for bigger and bolder projects in the next few months and years. More interestingly, we hope this will also enable more large scale collaborations. We’d definitely love to see a KAWS x JR installation sometime soon. 🚬 Are the addictive qualities of social media essentially the same as smoking? Who’s involved and what is it? Concrete Objects and artist Futura partner on a collaborative figure. Concrete Objects is a project by designers Samuel Ross (of A Cold Wall* fame) and Jobe Burns. The brand emerged out of their friendship and interest in creating a design-focused dialog around products beyond just clothing and sneakers. The underlying inspiration of the brand is a mutual appreciation for brutalist design. Together with legendary artist Futura, they’ve released a series of customized “NULL” figures, a Concrete Objects original. The hand-crafted figures are cast in epoxy resin with a “hand painted matte finish to immobilise the light that passes through it.” Let us simplify the unnecessary jargon, the matte paint doesn’t reflect light. Samuel Ross’ label A COLD WALL* alongside Futura are two respected names in the realm of youth/street culture. Their involvement presents product through a new lens around design that extends beyond the ephemera of modern day fashion. The hand-made pieces provide a new vector for a younger generation to understand the concepts that drive consumer products. 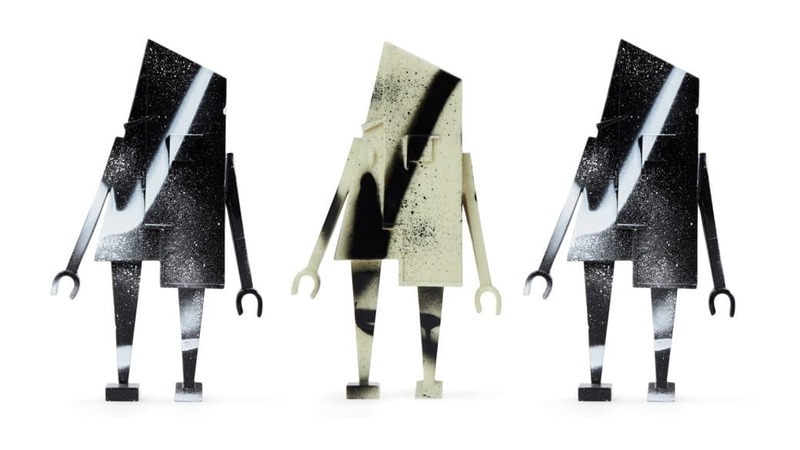 The figures are available now via the Concrete Objects online store. with a retail price of GBP 800 (or approximately $1,046 USD). If you’re interested in hearing more about Samuel Ross’ story, head over to our interview. 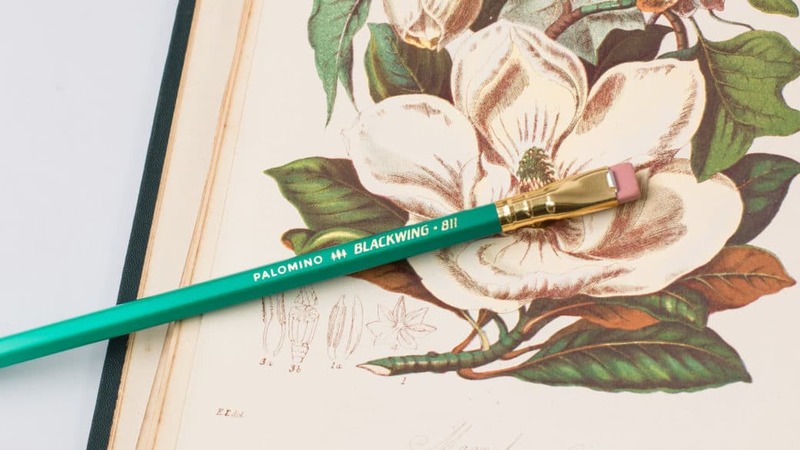 Blackwing, purveyors of some of the best pencils around, has unveiled the Volume 811 also known as “The Library Pencil” inspired by the late Dr Maya Angelou. The pencils are part of their limited edition series. Available now at Blackwing in limited quantities. Akiko Shinoda, the current director of international affairs at Japan Fashion Week, is on a mission to bring light to more Japanese creators. 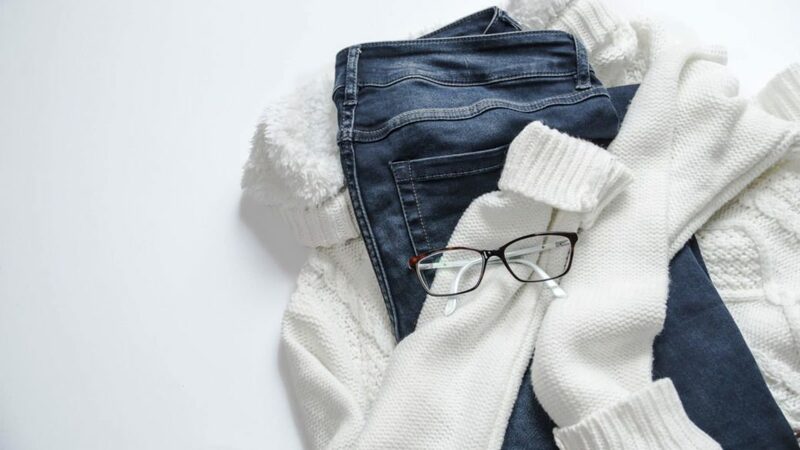 In an era where fashion is ultra connected, Japanese designers still remain focused on their local market which suffices to sustain business. As competition heats up, Japanese fashion may need to adapt or it will lose its position as a cultural leader. For Akiko Shinoda, Japan’s fashion scene is as strong as ever. Local designers are in demand and as such not pressed to expand operations overseas. In addition, designers typically speak little to no English, often a barrier to pushing their work beyond. However, Shinoda wants this to change and for typically shy creators to go beyond their comfort zone and showcase their work elsewhere. By embracing uncertainty, local talent can become the pioneers of tomorrow. Perhaps the most important take-away is how Japan’s global fashion revolution in the 80’s has run out of steam. Back then, designers like Yohji Yamamoto, Issey Miyake and Rei Kawakubo of Comme des Garçons burst through the scene. It was then followed by the Urahara movement and the pioneers of streetwear such as Hiroshi Fujiwara, Jun Takahashi of UNDERCOVER, NIGO of A Bathing Ape, and Shinsuke Takizawa of NEIGHBORHOOD. Today, very few designers have made headway with a few noteworthy exceptions. Shinoda notes that regional competitors such as Korea and China are making great strides to potentially dethrone Japan as a cultural powerhouse. For example, Korea leverages private business and government bodies to attract international demand. As such, Korea is taking the reins through K-Pop, K-Fashion and K-Beauty. As Shinoda points, out, most Japanese designers focus on quality and craft above all else. This means that brands spend little to no time trying to branch their message out to international markets, losing out on potential opportunities. As such, Shinoda wants to leverage international events to tell these stories in greater depth and ensure Japan’s dominance continues. With fashion as a key export, we hope to see more Japanese designers break onto the scene.